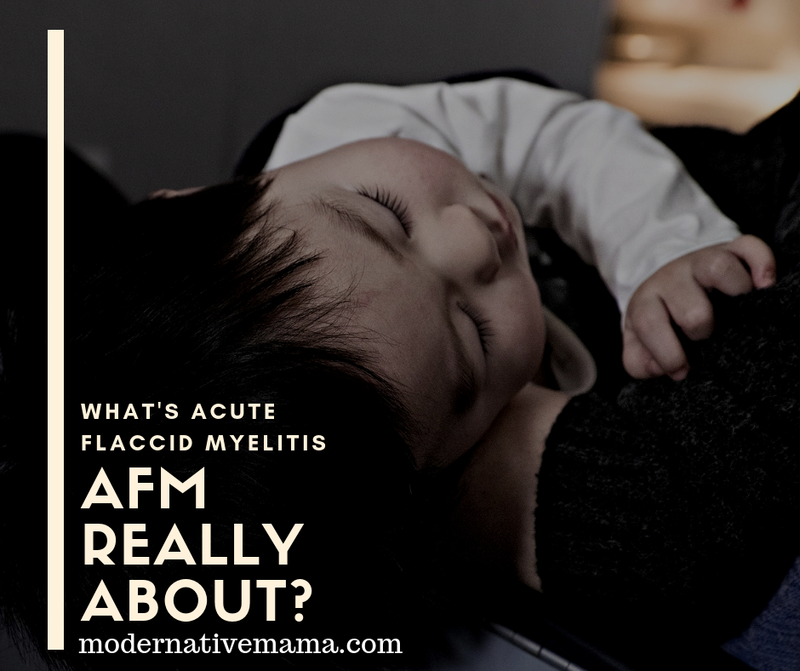 What’s Acute Flaccid Myelitis [AFM] Really All About? The media is buzzing with reports of children suffering from a “polio-like illness,” or acute flaccid myelitis. But what exactly is AFM? And what could be causing the recent outbreak? In October of 2018, reports circulated that one, two, now 127 young children in the United States are exhibiting a “polio-like illness,” or acute flaccid myelitis. Doctors and scientists are reporting that they are unsure of the cause, while pointing to a possible virus. Acute flacid myelitis (AFM) is a type of transverse myelitis. Transverse myelitis also presents as inflammation of the spinal cord, but in the upper cells which demonstrate as spastic weakness. AFM presents as flaccid weakness, hence the name. No cases of AFM have tested positive for the poliovirus. Though a medical consensus believes that an enterovirus (EV-D68) which causes respiratory infection is likely the cause of AFM, there is no actual proof that this virus is causing AFM. The CDC says that AFM is not contagious. It is being reported that AFM begins after a fever and a respiratory illness (flu anyone?). It is believed to be caused by an enterovirus, though it seems there’s actually little proof. The immune system’s response to the virus, causing the inflammation of the spine and limb paralysis, is reported as the cause – not the virus itself. Poliomyelitis, or polio, is believed to be caused by the poliovirus, and infects brain and spinal cord tissue causing damage and paralysis. However, according to the CDC, 72 out of 100 cases have no symptoms and no long term damage, and only 1 in 4 will see minor symptoms. Less than 1 in 200 will actually see serious symptoms. Sometime after polio vaccination began, after World War II, the phenomenon of “provocation polio” was recognized. This was polio brought by a vaccine injection in the limb, especially tetanus and pertussis vaccinations. Why? Scientists hypothesized the injections drove the polio virus (EV-D68) into the blood and central nervous system, where it had the ability to cause paralysis. Vaccine campaigns in third world countries have seen something similar. And, reports of polio following polio vaccination are not uncommon. Are we simply seeing “polio-like symptoms” that have really been re-branded and re-diagnosed from true polio? Could This Be Vaccine Related? According to the vaccine injury court, yes. Tranverse myelitis is also named on a number of vaccine inserts as possible side effect, including DTaP, Hep B, HPV, MMR, TDaP, meningococcal, and flu vaccines. But are these reactions really occuring? An analysis documented in PubMed also says yes. Cases were reviewed on PubMed, EMBASE, and Dynamed for myelitis following vaccination, and 37 cases were found following vaccination, specifically DTaP, Hep B, and MMR, as well as others. This points to not one virus or even bacteria, but an adjuvant or simply the process of vaccination as a possible cause. 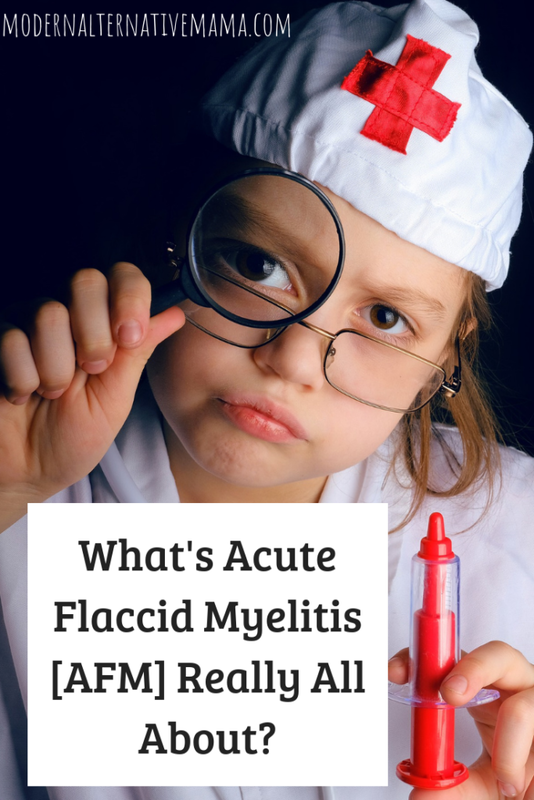 There is much also pointing to the connection between transvers myelitis/acute flaccis myelitis and FluMist, which explains why the U.S. did not see an outbreak of “polio-like” illness in 2017. Finally, there’s concern that the polio-causing enterovirus is actually in inactivated polio vaccines (IPV) and oral polio vaccines (OPV), which are commonly used today. While viruses run through our bodies consistently, it is not normal for these viruses to have access to the interior tissues of the spinal cord. Much like meningitis, we need to ask how access was possible to understand why some fall ill and others do not. Many report cases following dental work, vaccination, tonsillectomies, and other events which may compromise these protective barriers. So, as we know, it isn’t as simple as you have the virus – you get AFM. It has to have a way to compromise the immune system, and these delicate organs and fluids. But, are the unvaccinated causing the polio virus to mutate and return? First, looking at the symptoms of illnesses we see circulating today, we need to ask if polio was really ever gone? Interestingly, or maybe not, the U.S. Government redefined the diagnosis criteria for polio in 1954, a year before the inactivated polio vaccine (IPV) was released. Cases of polio declined so much because a diagnosis that would normally render as polio, no longer was polio, though it had the same symptoms. And magically, polio “went away.” Second, we actually see that the opposite is true, such in this report where patients with AFM were found to have a mutated virus from the vaccine. What Can You Do To Prevent AFM? Since avoiding viruses is like avoiding the wind, instead, avoid any events that may drive a virus into the blood stream — such as dental work during the winter months, vaccinations, and tonsillectomies. Definitely avoid the flu vaccine, especially Flu Mist. Be smart and prepare your body and your children’s immune systems for the fall and winter months. Stock up on elderberry syrup, vitamin D, omega 3’s, such as those from quality cod liver oils. Limit processed carbohydrates, and up your good fats and proteins daily from grassfed meat and dairy. It doesn’t hurt to do a virus detox if you experience chronic viral infections, or have symptoms that point to viral issues. AFM is a serious illness and my heart breaks for the families suffering through it. But, when our “health authorities” do little but ignore researched causes, we have to go digging ourselves. It’s clear that there’s connections to vaccines and other medical procedures that likely allow the virus to enter delicate tissues. Our children deserve a real answer and real prevention against all disease, including this one. Have you experienced acute flaccid myelitis or researched it? You mentioned to avoid dental procedures..does this include cleanings? I’m scheduled for a cleaning in a few days. Thanks!